The Kibo jacket offers the highest level of waterproof and breathable performance for all activities and conditions when out with your dog. This shell jacket with a soft inner lining offers full belly and chest protection. A well rounded lightweight dog jacket. Chest is measured around the largest part of dog's rib cage. 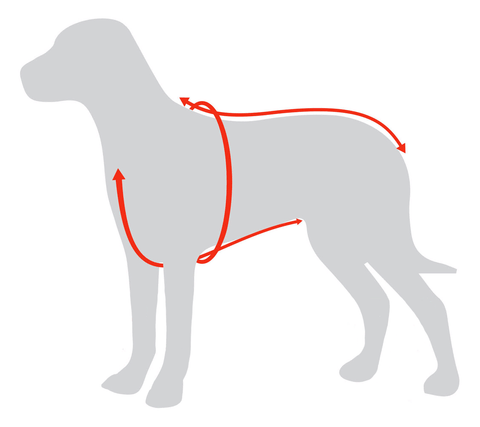 Length of the back is the distance from the base of the neck to the base of the tail. Underbelly is measured from the base of the neck through the under part of the chest to the groin.